With an enigmatic gleam, tiger iron captivates with a spectrum of golden browns, ruddy reds, and inky blacks. 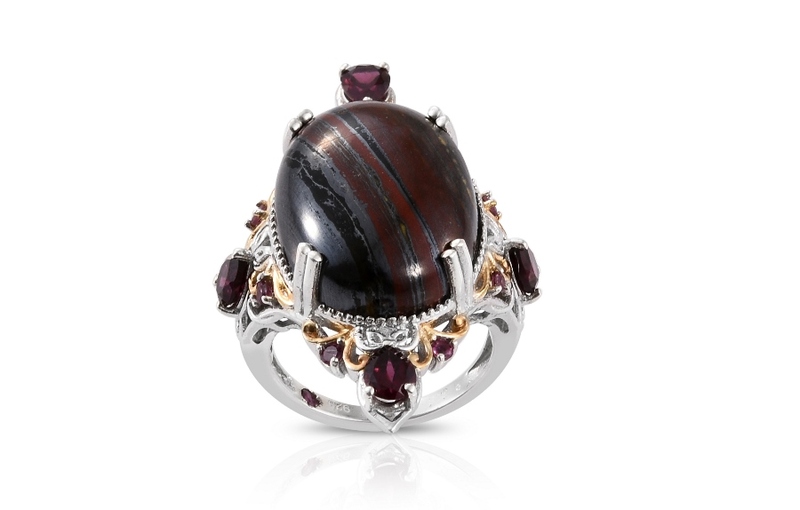 Tiger iron is an unusual, fascinating stone. A form of ironstone, it is related to the better-known tiger's eye gemstone. The stone has a banded appearance, created through a sedimentary process where the alternating layers of material formed over thousands of years. Three distinct types of layers form within tiger iron. 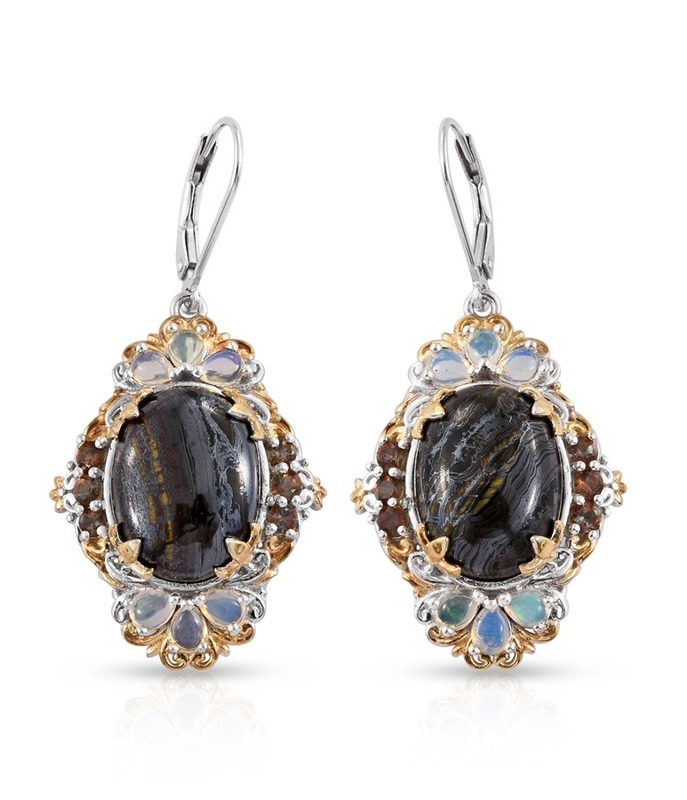 The first is formed by tiger's eye, the familiar golden brown gem, known for its chatoyant effect. Red jasper comprises the second layer and ranges from a brown-red to blood red color. 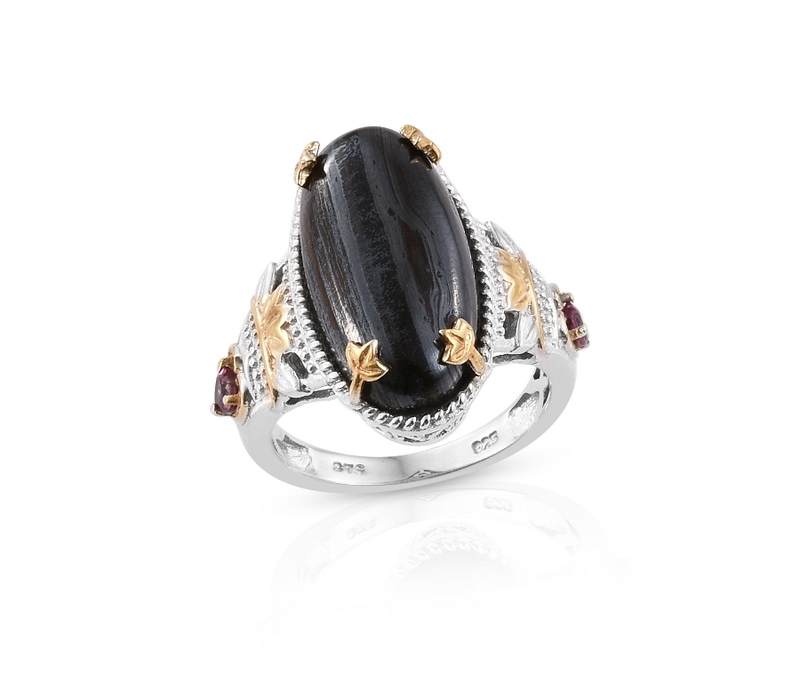 Finally, black hematite creates the third layer seen in the stone. It provides a metallic black sheen from the presence of iron. These layers repeat throughout the rock, in various widths and lengths, ensuring that no two will ever look alike! Many specimens of tiger iron display a multi-color chatoyancy, or cat's eye effect. 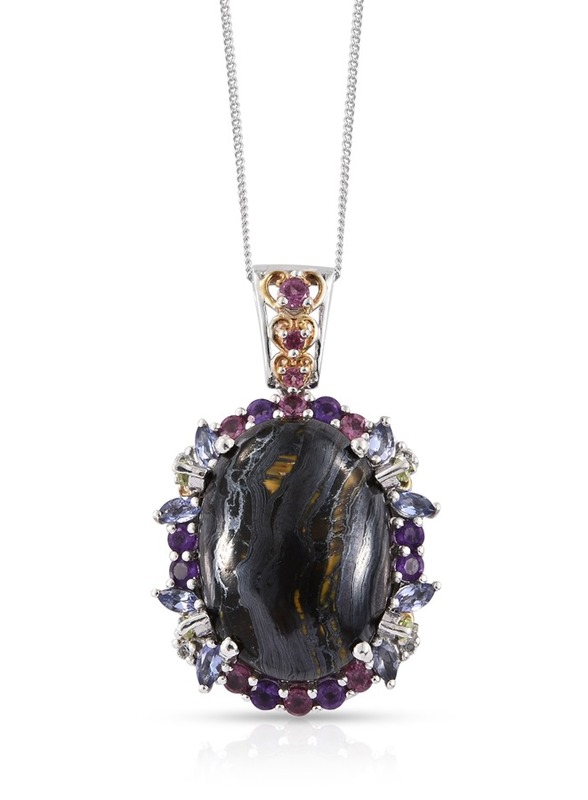 Like tiger's eye, tiger iron is shaped in cabochons for use in jewelry or carved into ornamental objects. Ranking from 6.5 to 7 on the Mohs scale of hardness, tiger iron jewelry is perfect for daily wear and is resistant to scratching and abrasion. With a palette of yellows, browns, reds and blacks, this stone offer a unique neutral accent with just a pop of color. • Ironstone was a historical source for iron. A grueling smelting process was employed to crush ore and extract iron from the material. As more sophisticated methods were developed over the centuries, the use of ironstone fell out of favor. • In addition to a source of iron, the material was also used in construction. Several rural churches in the English countryside used ironstone in their construction. How Did Tiger Iron Get Its Name? • Tiger iron is named for the dominant presence of tiger's eye within in the material, in addition to the strong appearance of iron. Among those interested in the metaphysical, tiger iron is sometimes known as mugglestone. Shop LC sources our supply of tiger iron from Western Australia. 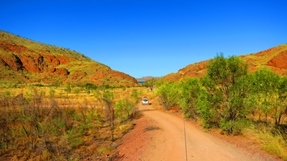 The two primary mining locations for this stone are Ashburton Shire and Port Hedland Shire. Material from either location is of comparable quality, with only minor differences in appearance, making it difficult to determine from which mine it is sourced. Heavy machinery is required to extract tiger iron from the Earth due to the heavy iron present within the stone. Mining is primarily carried out by smaller specimen dealers. Ranks 6.5 to 7 on the Mohs scale. The material is banded in layers of golden brown, red, and black. Sourced from Ashburton Shire and Port Hedland Shire, Western Australia. May also be known as mugglestone. Tiger iron is not treated in any known way.